City of Sheboygan Falls Fire Department / First Responders are always looking for new members. If you are interested in being a Firefighter, First Responder or both, complete an application and return it to the Director of Public Safety Steve Ross. If you have questions please contact SFFD by email at sffd@sheboyganfallsfire.org or talk with one of our current members. Requirements: Live with-in / immediate surroundings of City of Sheboygan Falls, 18 Years of Age, Drivers License. Application Process: Applications, Interview, Background Check, Health Physical/ Drug Test. 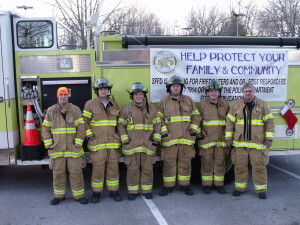 Junior Firefighters: City of Sheboygan Falls Fire Department does have a limited number of Junior Firefighter positions (16-18 Years of age). Please inquire by contacting SFFD through sffd@sheboyganfallsfire.org or Contact a department member. Click on Application to download an application. The completed application can be dropped off at the Sheboygan Falls Police Department.